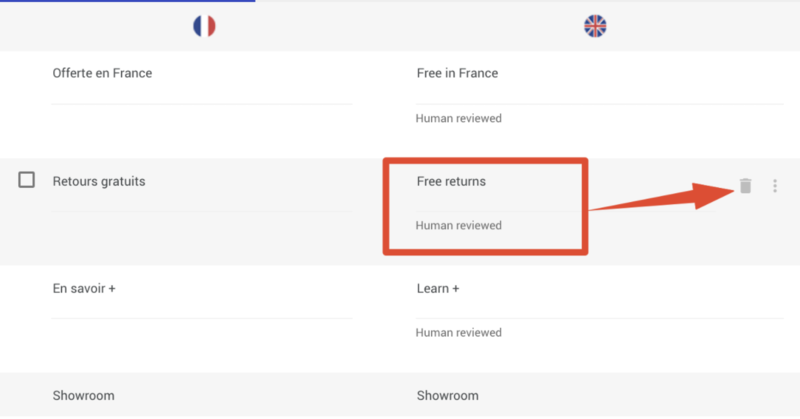 In this article, you'll find how to definitely remove a translation from your website. 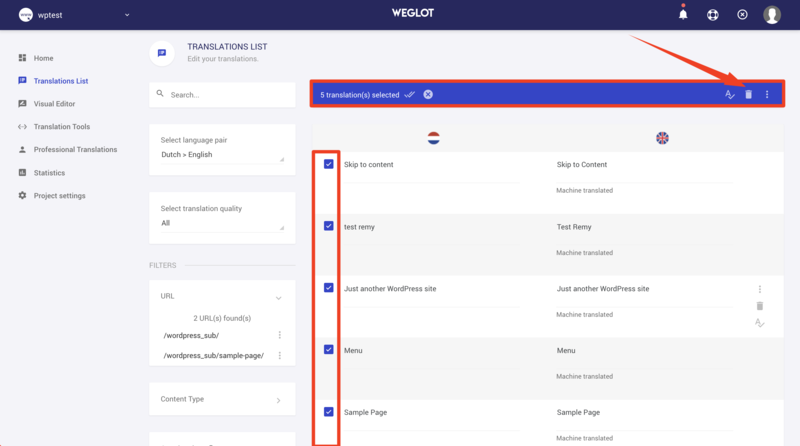 You have to follow the 2 next steps to permanently delete a translation from your Weglot account. If one of these is not done, the removal won't be effective and the translation will come back. First, you have to exclude the related original content to ensure that your content won't be translated in the future. Keep it on your website... But, excluding the original content from your translation process. To do it, please follow this tutorial: for Wordpress, for Shopify. Even if your content is now excluded from the translation process, the content remains stored on your Translation list. So you have to remove it from your Translation List.